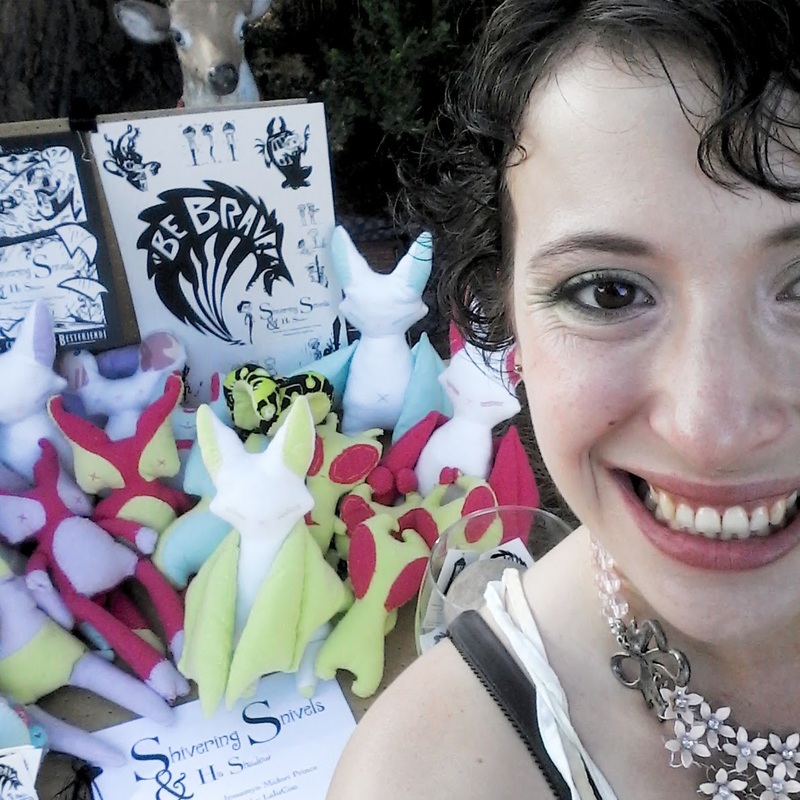 Snivels shared its space with LaluCoo’s plushies! Our lovely LaluCoo and I having fun at Artzana! As you can see, we have an awesome time! Don’t miss out this week. Pick up your copy of these great Shivering Snivels Posters! 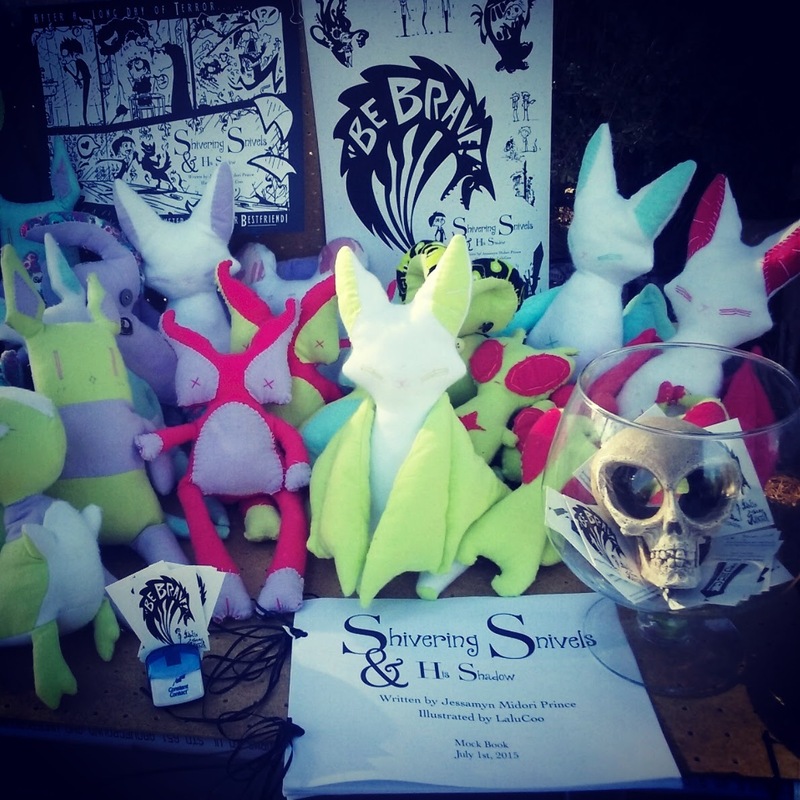 Meet the “Ghouls” behind Shivering Snivels TODAY!